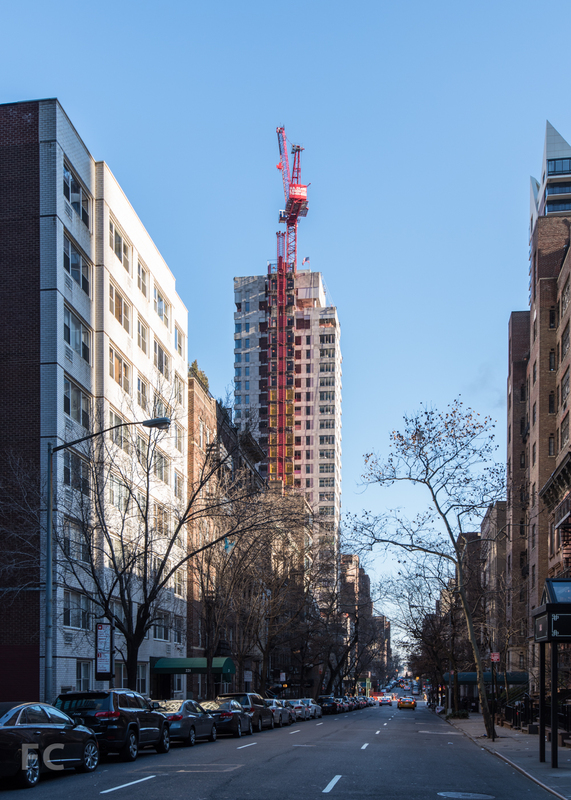 Construction is progressing at 301 E 50, COOKFOX Architects' 29-story, 57 unit condo tower in Manhattan's Midtown East neighborhood. Since the last update in November, installation of the facade's limestone panels and windows is significantly complete. Still absent on the facade are the windows' sun shading elements for mitigating solar heat gain. The project seems well on its way to wrapping up sometime this year. Looking east on East 50th Street. Southwest corner from 2nd Avenue. Southwest corner of the podium. South facade from East 50th Street. Architects: COOKFOX Architects; Developer: CBSK Ironstate; Program: Residential; Location: Midtown East, New York, NY; Completion: 2015.